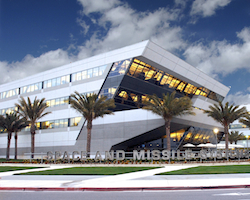 Registration is now open for the 2011 GPS Partnership Council meeting on Tuesday, May 3 and Wednesday, May 4 at the Space and Missile Systems Center (SMC) at Los Angeles Air Force Base in El Segundo, California. These military and industry networking meetings, now in their 11th year, are sponsored by the Los Angeles chapter of AFCEA (Armed Forces Communications Electronics Association) and the USAF GPS Directorate, formerly the GPS Wing. A social will be held at the Shade Hotel at 1221 North Valley Drive in Manhattan Beach on May 3, and golf is featured after the meeting on May 5. Inside GNSS is one of the industry sponsors of this year’s meeting. For information and registration, go to the AFCEA-LA website.